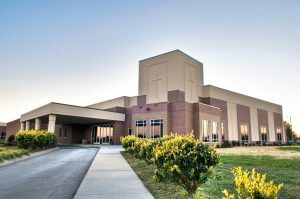 In the mid-1990’s The Tennessee Conference of The United Methodist Church desired to start a new church that would be something different than a “traditional” Methodist church. So in 1995, Rev. Don Morris was appointed as the pastor of “Fellowship Church” in Murfreesboro, TN. Nine families met from June through November of that year for Bible study and preparation for launching this new church plant. The first service took place November 5, 1995 with over 250 people in attendance. The church met at Oakland High School for five years and in 2001, it moved to its present location on Highway 99. After 20 years of faithful service, in 2016, Rev. Don Morris has retired and Chapter 2 of “Fellowship United Methodist Church” has begun under Rev. Mack Strange. Sunday mornings here feature a contemporary style of worship and you are invited to come just as you are. Fellowship United Methodist Church aims to blend a welcoming atmosphere for those who are new to the church experience, as well as those who have been going to church their entire lives.